Little lizards are quite widespread here in the desert. These pinky gentle beings are remarkable for their circular patches on their paws which help them climb up various surfacess. 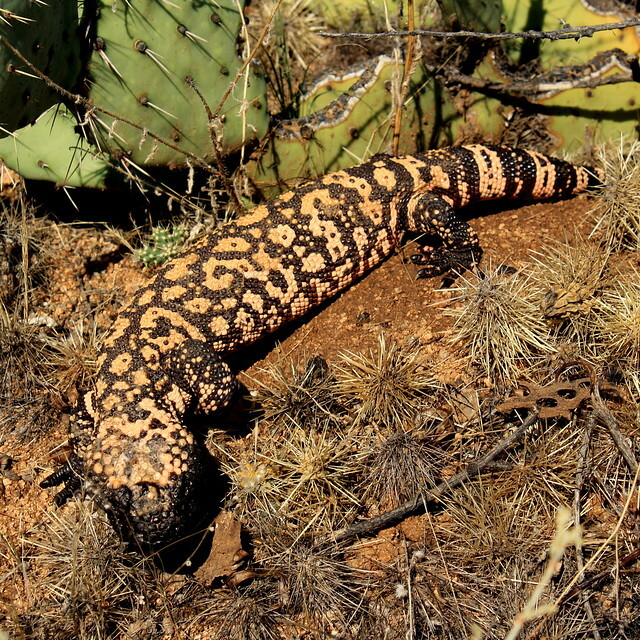 However, the Sonorad desert is better known for the so called Gila monster, a 2-feet-long reptile with black and orange strips. This is the the biggest local lizard as well as it’s the only venomous animal which is protected by state regulations. The bite of Gila monsters is not lethal to human beings, however, you don’t really need to try it out. You shouldn’t be confused by its calm and slow manner – these devils attack faster than you think.